Airline hose used for Allegro Supplied Air systems. It is NIOSH approved when used with Allegro Full face, Half-face and Hood respirators. Manufactured with Rectus OBAC quick-connect couplers. 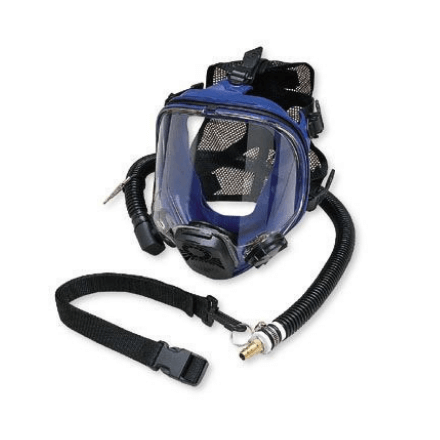 This comfortable full mask offers low pressure continuous flow protection with a unique over the shoulder hose design and an adjustable belt holds the hose out of the way. It’s durable and easy to use and clean. All Allegro 9901 Full Face Respirator documentation, manuals and resources available HERE.